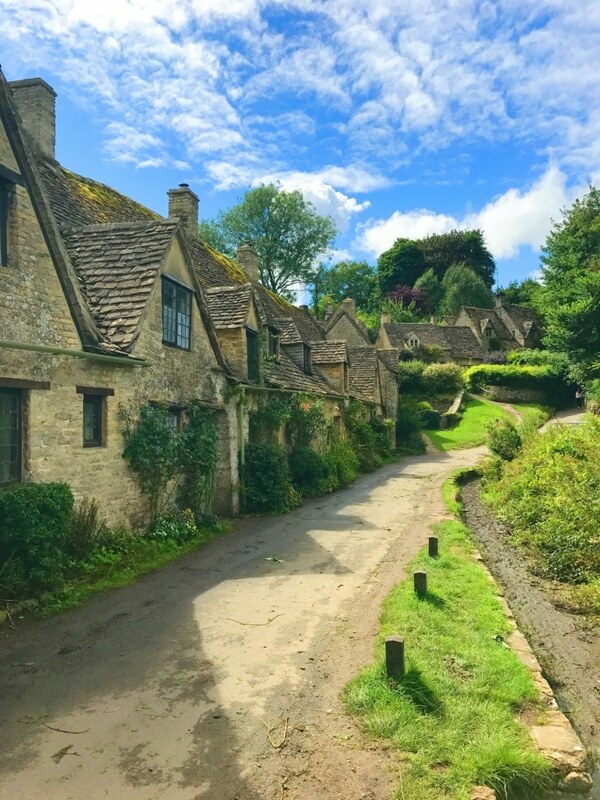 The Cotswolds are such a magical part of the UK, with their picturesque, postcard-worthy villages, chocolate box cottages and rolling hills. 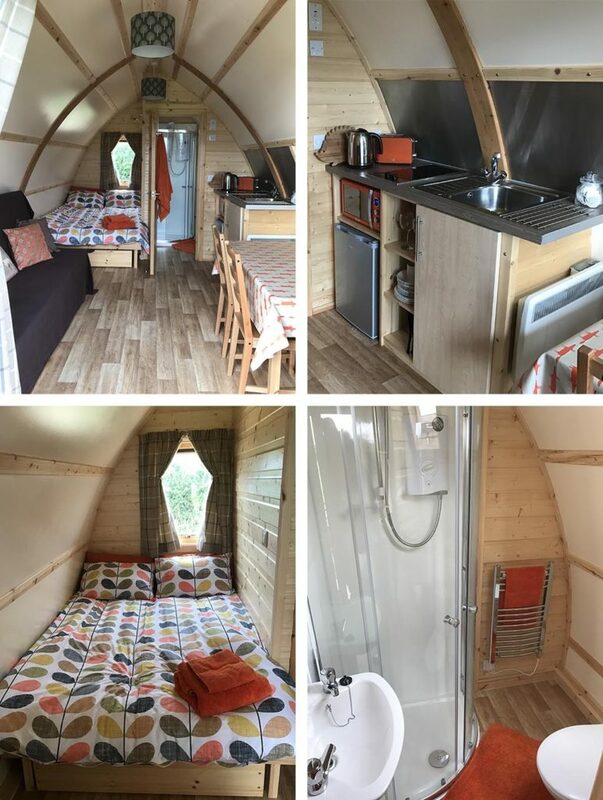 We got to spend a couple of days exploring what are ranked some of the prettiest parts of England and then got to relax for the evening in a wigwam. Do you want to be kept up to date on more delicious recipes like this Filipino Chicken Adobo? Please subscribe to the blog mailing list (it takes 30 seconds). You will get sent the new recipes straight to your inbox. Your email address won’t be passed on to anyone and you will never be spammed. 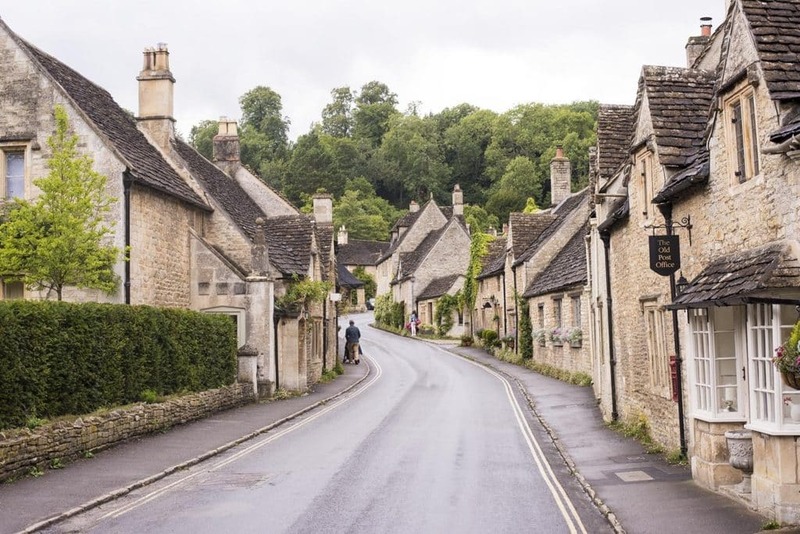 Just as you enter in to The Cotswolds from the south coast, you come to Castle Combe which is ranked as having the prettiest streets in England. Arriving with high hopes, we weren’t disappointed as we joined a few other tourists at the end of the street to capture “the photo” of this village that you will see all over the internet. A little square surrounded by a couple of country pubs, a small pretty church and some locals milling around and it’s all pretty much your standard village, albeit a very pretty and quaint one. What I think sets this village apart from all the other ones we have visited, is the little cake stall outside this lady’s house! I mean, how British is this? 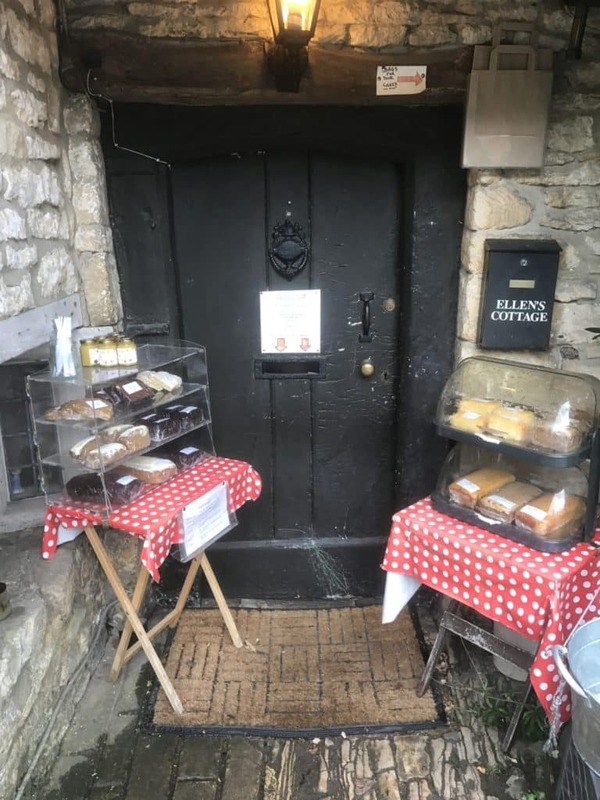 A stack of cakes sits next to an honesty box where you pay what you think it fair (although there are suggestions) and off you go with your homemade cake. How could we not buy some? In case you are wondering, the chocolate fudge cake was some of the best we have had. 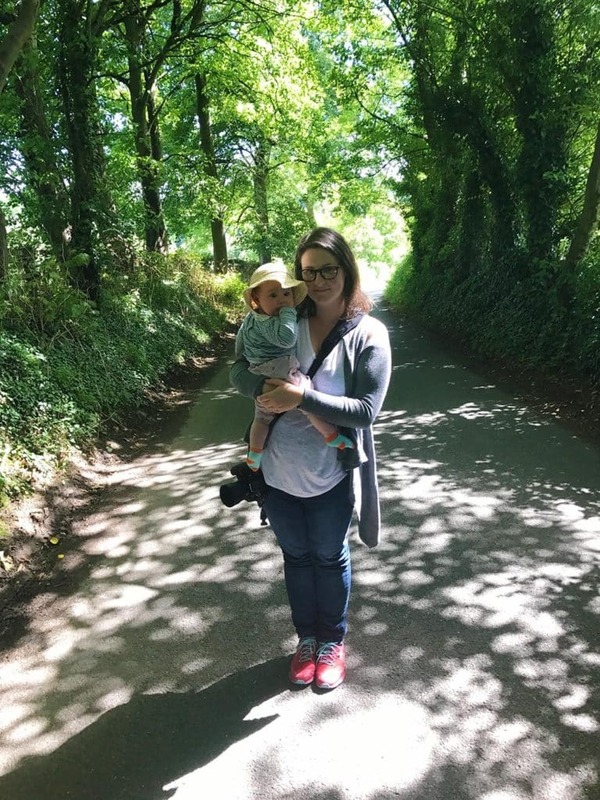 A quick stop off at the supermarket to stock up on wine and food to cook (we were desperate for a home cooked meal after living on festival food for the last few days) and we were off to our home for the next 2 nights – a cute little wigwam on a farm overlooking the rolling countryside. 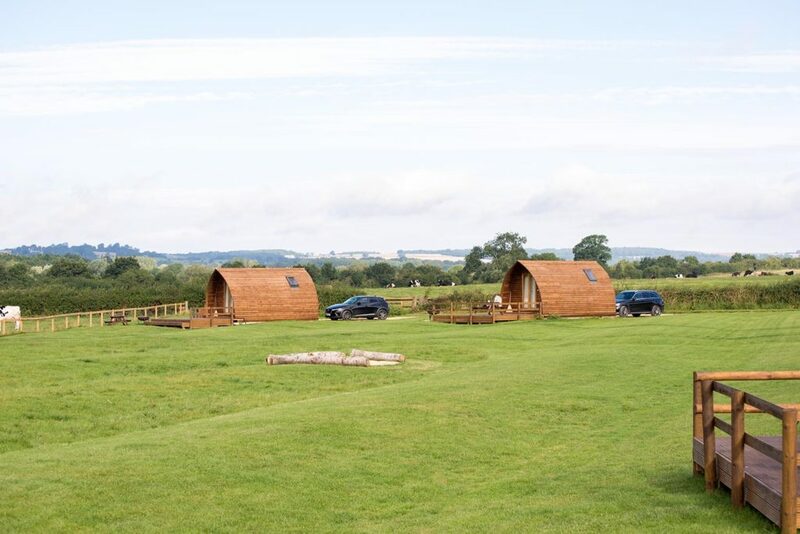 Wigwam Holidays Cotswolds provide you with everything you need for a comfortable stay in these pods – bed linen, towels, cooking equipment and even a hot tub! 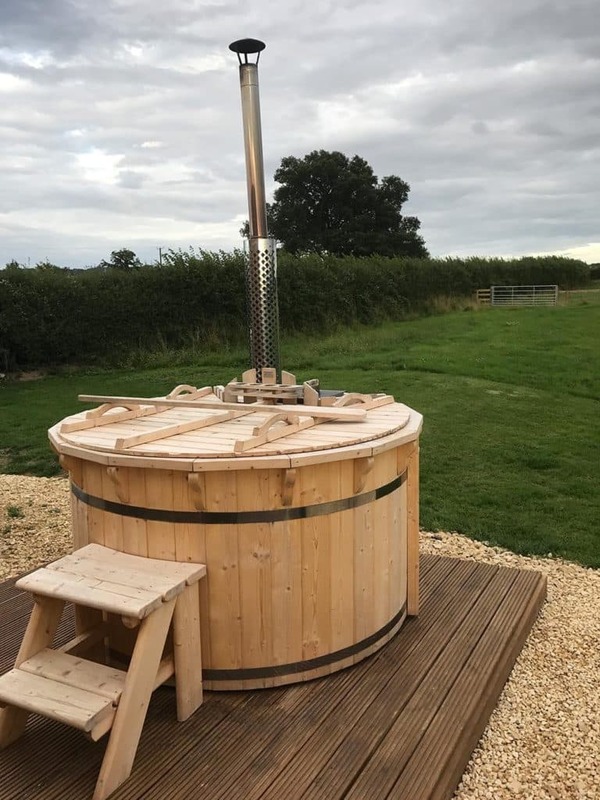 That’s right, you can book a wigwam with our own private hot tub, which is the best way to relax your muscles after all that walking. There is also a fire pit, and you can buy fire wood there to have your own cosy fire at night to keep warm (you can even buy marshmallows too). If it is a cold night, you have heating inside the wigwam too, which was great for us as we had a baby to keep warm. 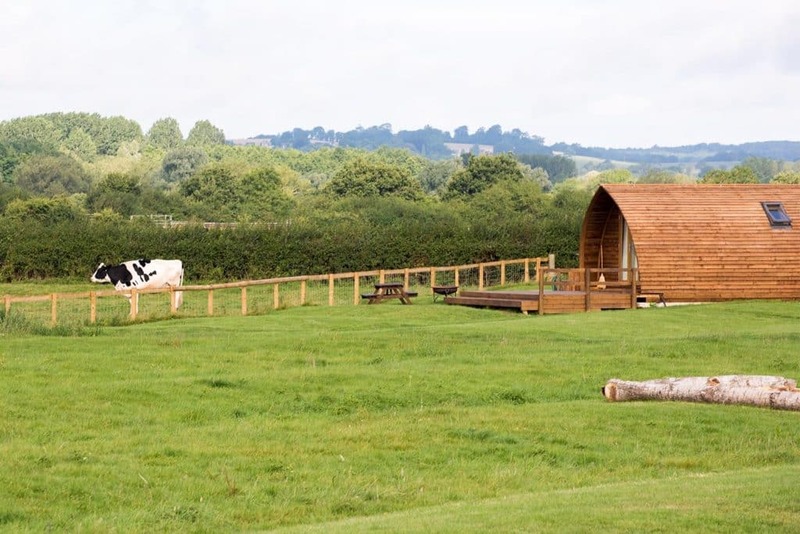 There are just 6 wigwams on this farm in the Cotswolds, so you have the best of both worlds – nice and private, but not totally remote. Everyone has their own space, but the owners are always on hands if you need anything. They will light up the hot tub for the first day for you too, as it takes around 3 hours to get hot, so it can be nice and warm for you when you arrive. 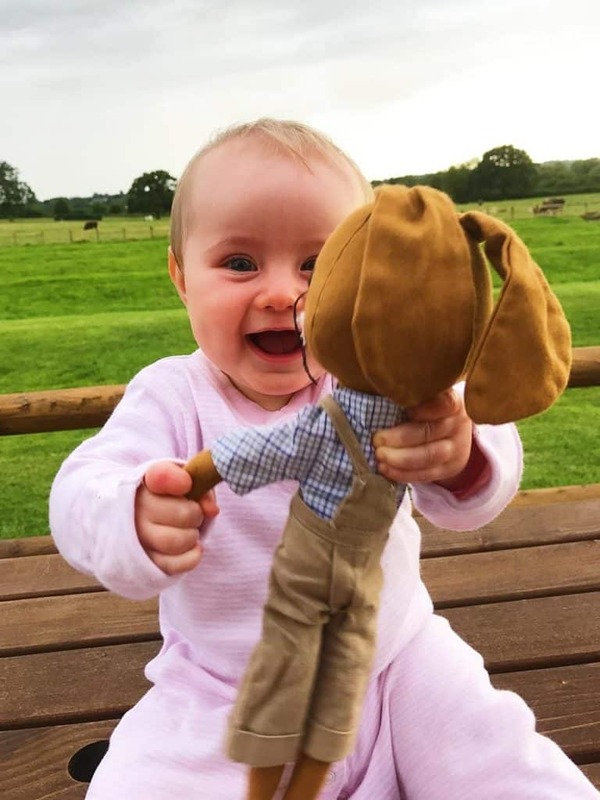 Although Avery is obviously too young to be running around in the fields playing, there were plenty of kids staying here and they all seemed to be having an amazing time. Obviously not quite exhausted from their days out, they enjoyed running around as the sun was setting. We would definitely come back when Avery is older too. But as she is still little, we could put her to bed and jump in the hot tub with a bottle of wine and watch the sun set. As the sky became more red, and everything became darker, everyone was silent and just enjoyed the view from their own decks. It was so peaceful and honestly a moment I will always remember. Waking up to this view every morning is definitely something I will miss. The cows start mooing at a reasonable time to gently wake you as you slope out on to your deck with a cup of coffee to enjoy the view as the mist clears across the hills. Ready for another day of exploring this area of outstanding natural beauty. A pretty scary name for such a quaint area, but it gets its name from the Old English word “slough” which means wet-land, which the villages lie upon. 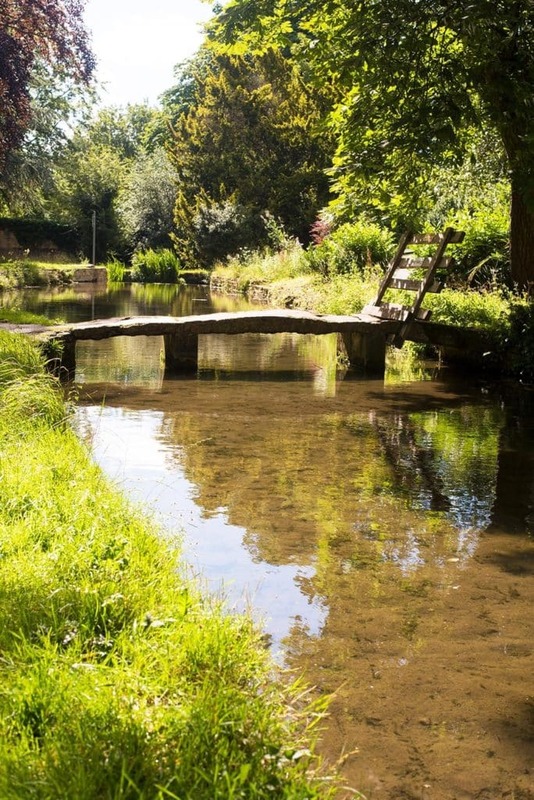 There is Upper Slaughter and Lower Slaughter, which is where we started our journey and they are just one mile apart and very easy to walk and do a big loop. Upper Slaughter was once dominated by a Norman castle, which unfortunately is no longer there. These quite villages are simply beautiful, with houses dotted along the River Eye – one of the houses even dates back to the 15th century. 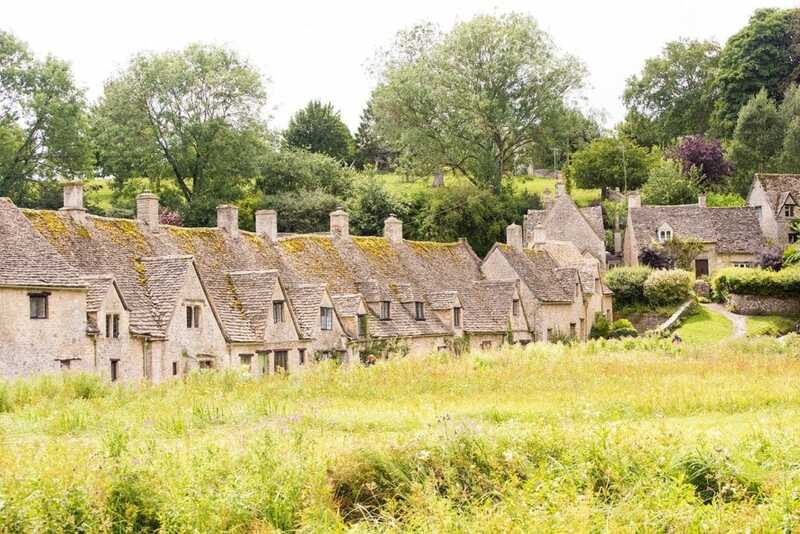 You might say that Upper Slaughter has some kind of magical powers. It is called a “Double Thankful Village”, as all of the then members of the armed forces from that village survived both World War I and World War II. 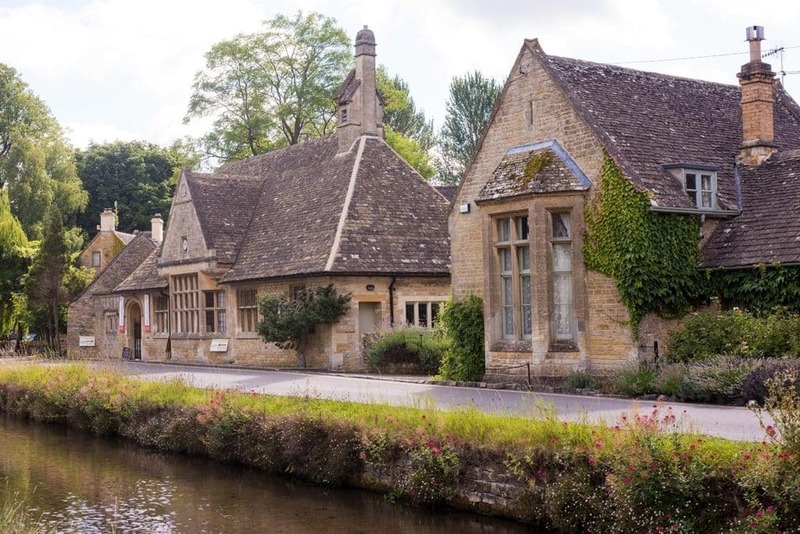 There is a couple of cafes in Lower Slaughter if you need a refreshment break, but we were too busy being nosy and picking what house we would want to buy if money was no object. A quick check on Right Move suggests that money would have to be no object, because these houses are expensive! But you are buying in to a lifestyle and it’s a dream lifestyle I think. 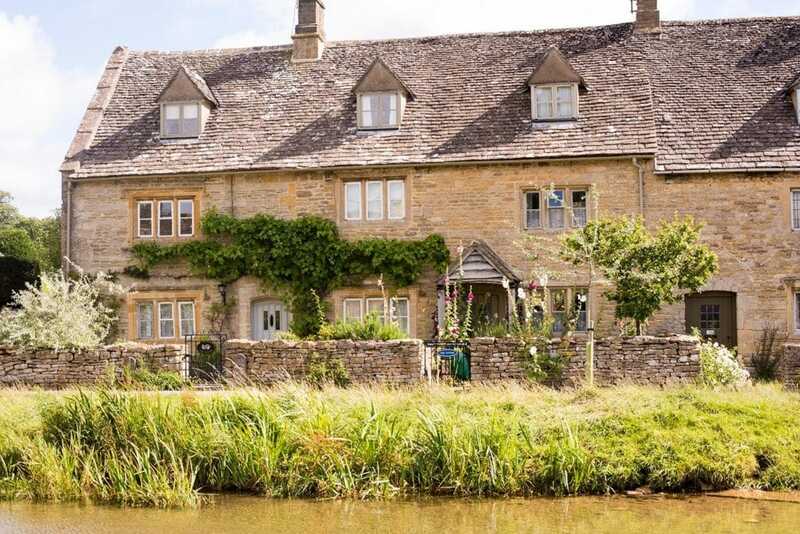 Just outside Upper Slaughter is Eyford House, which in 2011 was voted the nation’s favourite house by Country Life Magazine. Designed in the late 17th Century, it is where poet John Milton stayed and was inspired to write his epic Paradise Lost. We went here solely to get a photo of this bridge, but it seems like every other tourist in the Cotswolds did too. I am sure out of season this little town is lovely, but on a sunny summer’s day it was rammed and not very enjoyable to be honest. It wasn’t out of our way, so we had to go near it to get to another destination, but we would have been disappointed if we had gone out of our way for it. I have seen beautiful photos of it in the snow, so maybe somewhere to go back to in the winter. 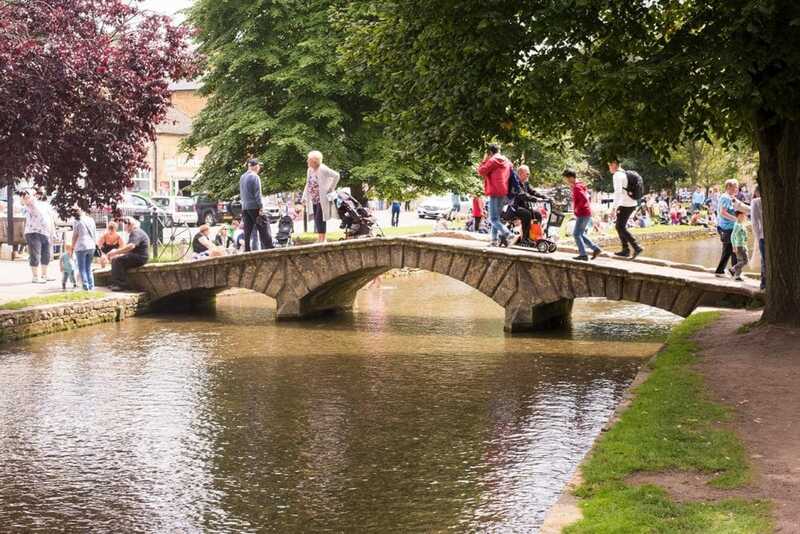 It has been described as the “Little Venice” of the Cotswolds due to all the elegant low bridges and cafes. But everyone says Venice is overrun with tourists too, so it probably is a fair comparison. 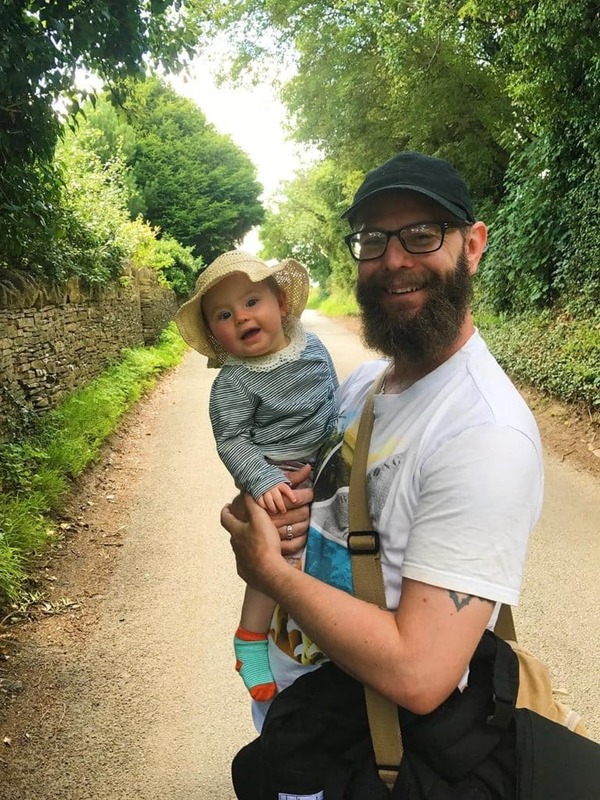 We did find a nice cafe near the bridge, on the River Windrush, to have a coffee and a scone (and for Avery to throw a sandwich everywhere). Scones make everything better. You have probably seen this picture before. 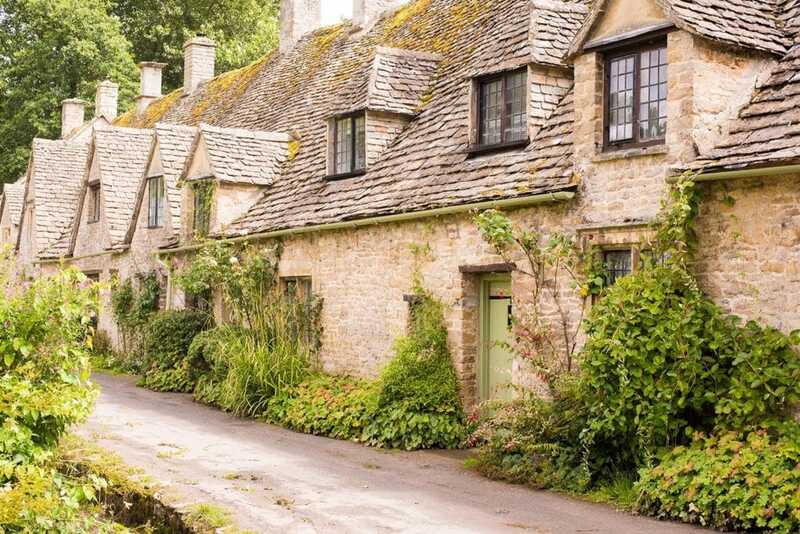 It is “the” picture of the Cotswolds – which is why I was surprised that it wasn’t swarming with tourists taking a selfie outside this row of dream cottages. 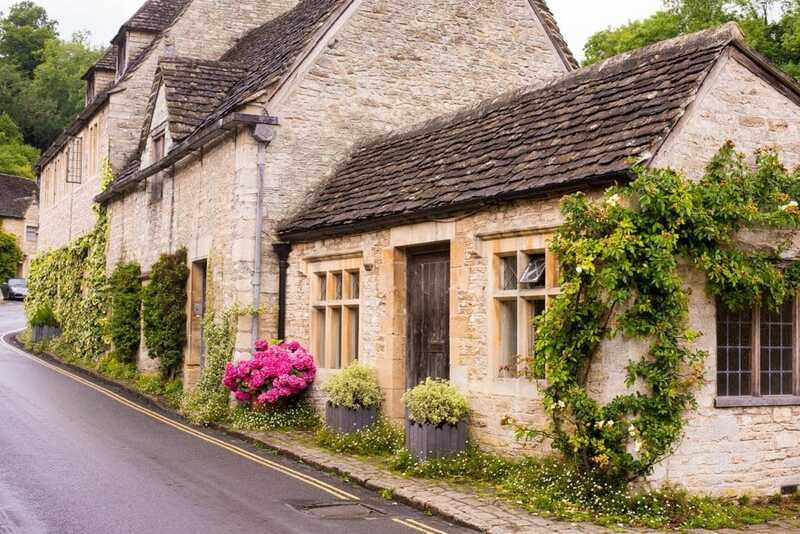 Arlington Row is just everything that there is to love about the Cotswolds. Beautiful stone built houses with steep pitched roofs, little windows and doors, lush greenery, and all set on the river. Arlington Row was actually bought by the National Trust, which is a good thing because it will be preserved for years to come. The cottages are all private homes and I hope the residents don’t get annoyed with tourists taking photos of their front doors every day. Even Henry Ford was won over with the beauty of Arlington Row – he tried to buy the entire row and ship it back to Michigan. I’m glad he didn’t, because it would have looked a bit out of place there. He did manage to buy various parts of the Cotswolds though and ship it over to a place called Greenfield Village. Set on the River Colne, the cottages on Arlington Row were believed to have been built around 1380 as a wool store and were later converted to weavers cottages in the late 17th century. You might also recognise it as the backdrop of some of the scenes in Bridget Jones Diary. If pretty buildings are not your thing, then there is also a trout farm in the village. 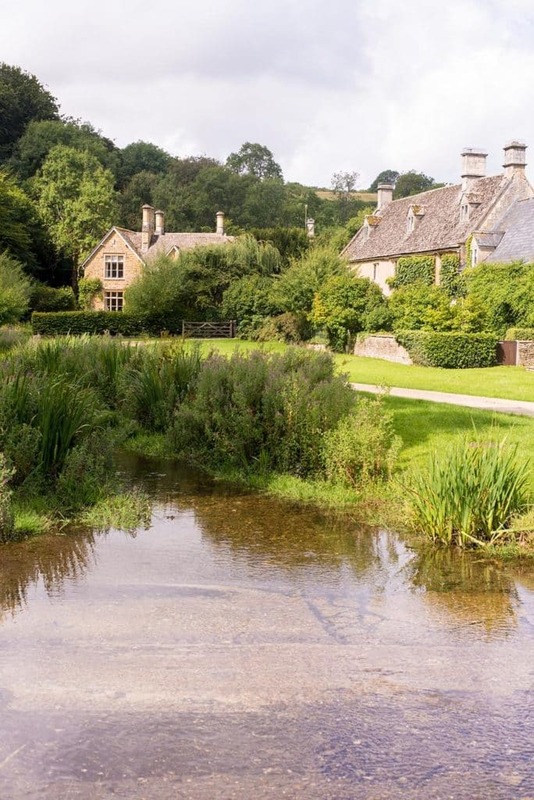 Something for everyone in Bibury. 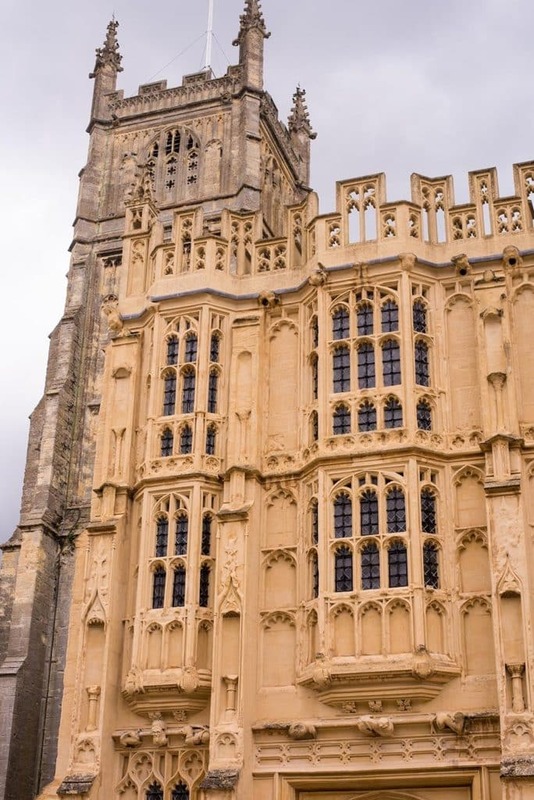 If you want something a little more lively, then head to Cirencester which is referred to as the capital of the Cotswolds and was mentioned in the Doomsday Book of 1086. It is dominated the parish Chuch of Saint John the Baptist in the market square. 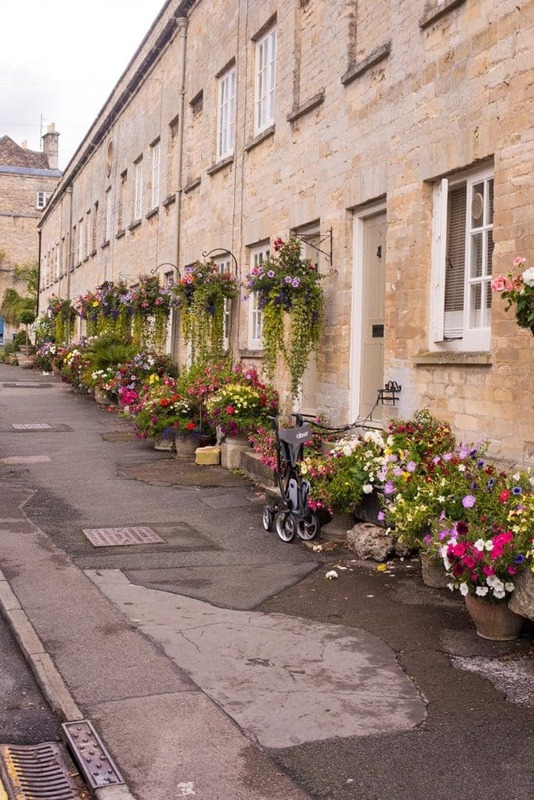 Cecily Hill (pictured above) is regarded as one of the most beautiful streets in the country, which I think is down to how much effort the residents put in the the flowers outside the properties. 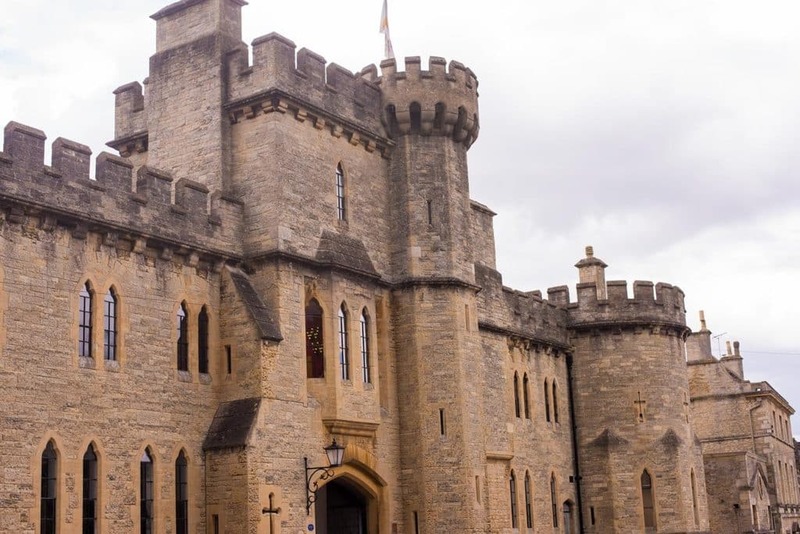 At the top of the hill is the former Cecily Hill Barracks (built in 1857), which are now offices and an entrance to Cirencester Park. Construction on St John the Baptist Church was started in 1115 and it’s known for its merchant tombs and the pipe organ that dates back to 1895. 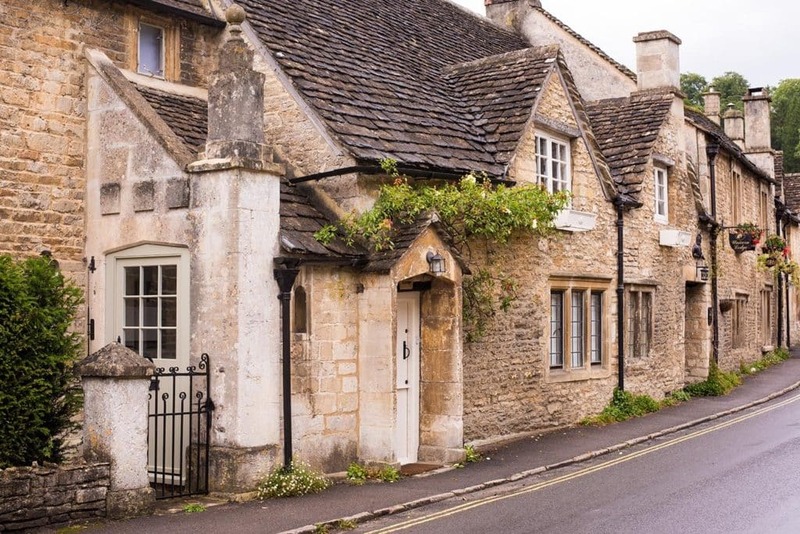 It’s a nice little town and a good place to stop if you need to pick up supplies or want more choice of restaurants and pubs (there are some really lovely places to eat), but if you don’t have much time in the Cotswolds, then give it a miss and focus on the little villages. 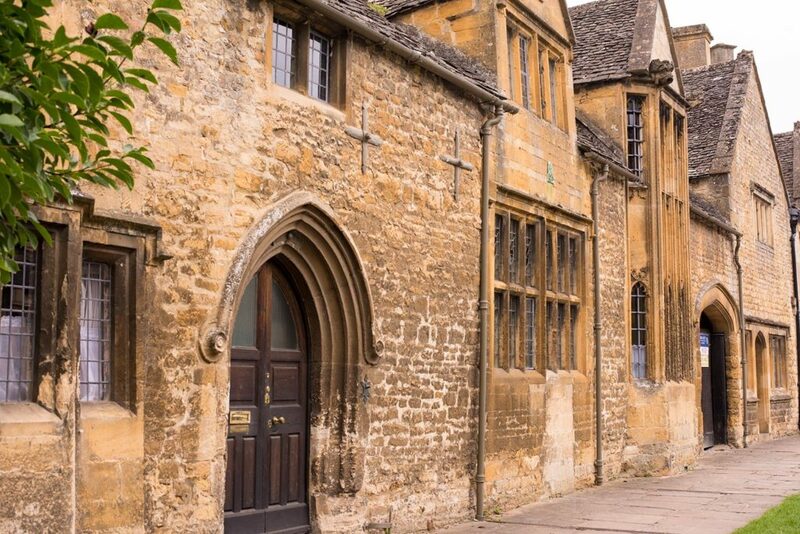 Our final stop on our tour of the Cotswolds was Chipping Campden. Chipping comes from the old English word ‘ceping’ meaning market or marketplace. 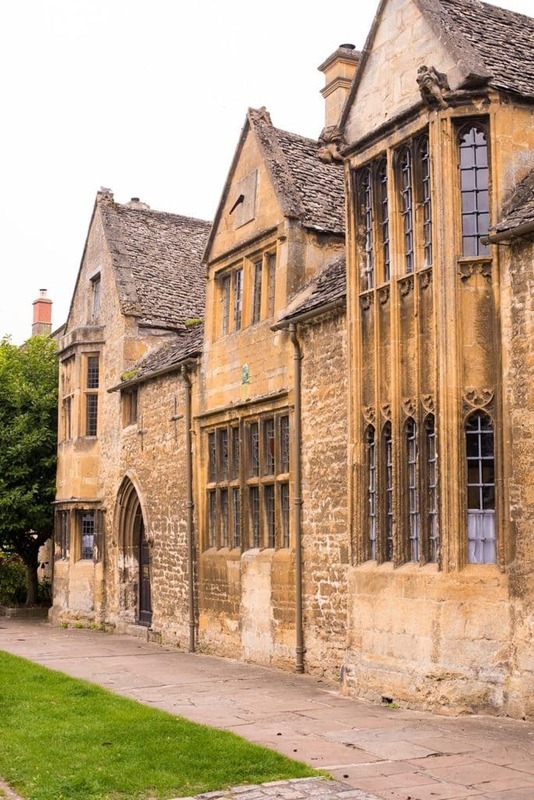 Campden, before it became a market town, had been established as early as the 7th century. Campden’s name derives from the Saxon word “campadene” meaning valley. The typical stone buildings in the town date back to the late 14th century and there is nice buzz to the village. A population of around 2,000 people, it would be a good place to base yourself. 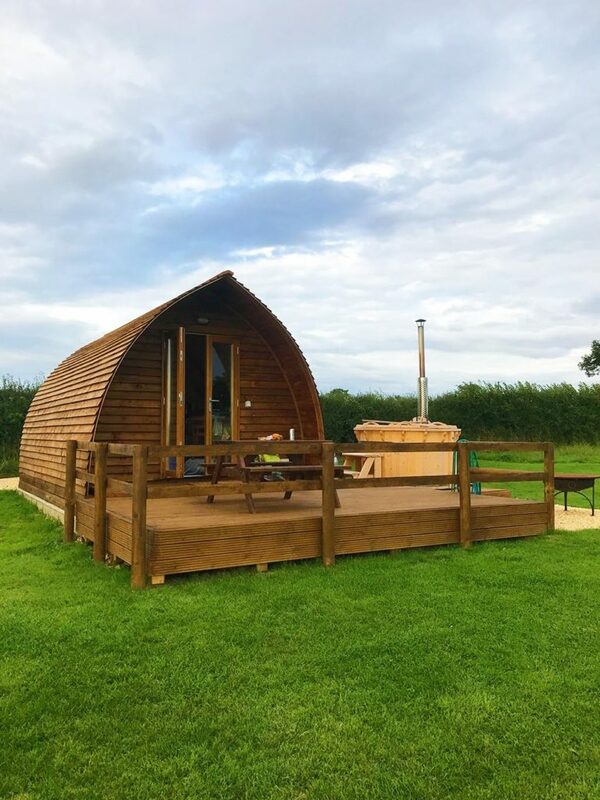 Visiting the Cotswolds really was a dream come true and although I can’t see us buying a little cottage there any time soon, we will definitely be back and would 100% stay in one of these wigwams again. 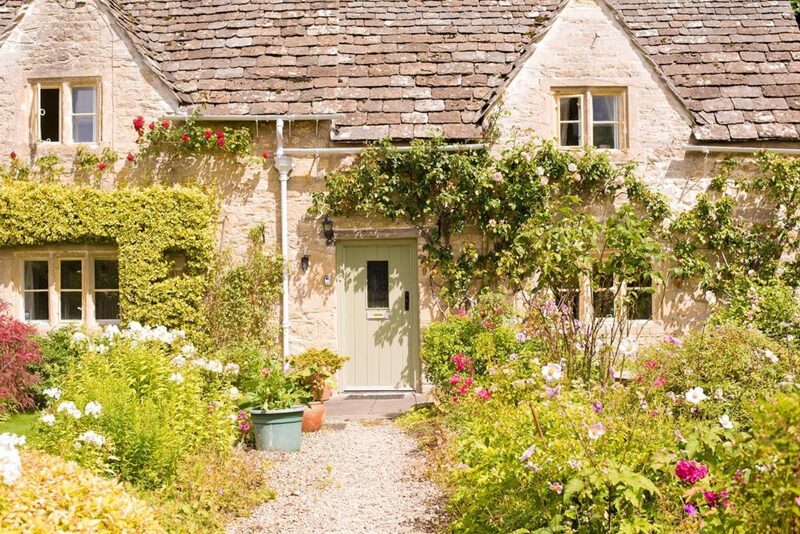 Thinking of planning a trip to the Cotswolds? 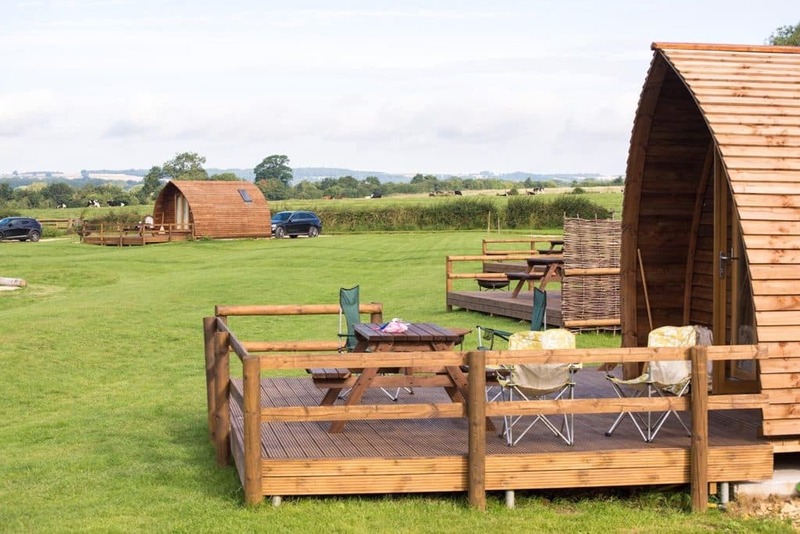 Book your own wigwam as a base for exploring this stunning area. Incidentally, we also stayed in a Wigwam in Scarborough. You can find me on Facebook at Hungry Healthy Happy, on Instagram at @hungryhealthyhappy, on Twitter at @HHH_Dannii or on Pinterest at hhhdannii. Also you can subscribe via email. Your baby girl is so beautiful! I love all these photos! I would love to go here! The buildings are perfect! 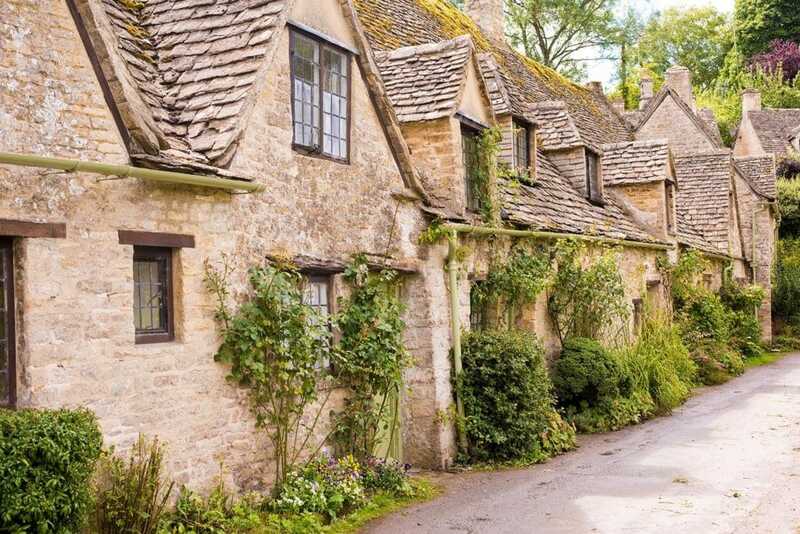 The cotswolds is a place I’m really keen to go to!! And the Wigam pods look incredible it’s definitely me all over I think I’d thoroughly enjoy that!! !